This Pulitzer Prize winning play weaves together the stories of Iraq war veteran Elliot desperately trying to move forward with his life at home, his cousin Yaz whose love for music has led her from poverty into the faculty of a prestigious university but questions the cost of this, Odessa, the motherly moderator of an online support group for recovering addicts struggling to stay sober, and three other lost souls who make up a fascinating community whose lives intersect in surprising and deeply moving ways. 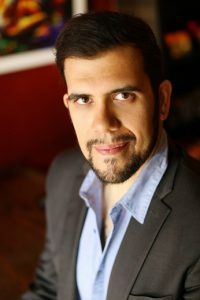 A heartfelt meditation on lives in crisis — and on the brink of redemption — Water by the Spoonful was written by Tony nominee Quiara Alegría Hudes (In the Heights) and receives its much-anticipated Seattle debut from Theatre22. Theatre22’s production of Water by the Spoonful has been generously sponsored in part by The Seattle Foundation. Rose is a graduate of Cornish, and has been Artistic Director of eSe Teatro: Seattle Latinos Take Stage since 2010. 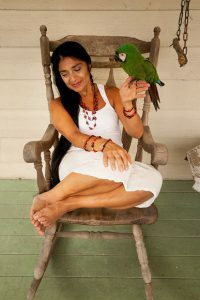 She is a bilingual actor, playwright, director and lyricist. Her latest play Don Quixote & Sancho Panza, Homeless in Seattle was recently produced by eSe Teatro in partnership with ACT Theatre. Her adaptation of the children’s book La Mariposa by Francisco Jimenez was commissioned and produced by Book–It Repertory Theatre in 2008 and 2014. In 2011 she made the list for Outstanding Acting (Modern Play) in the Seattle Times Footlight Awards for her role as Jocasta in eSe Teatro’s production of Oedipus El Rey by Luis Alfaro. She is honored to have been granted permission to do the first-ever translation into Spanish of Elliot: A Soldier’s Fugue, the first play in this trilogy. Thank you Quiara! Rose is on the Steering Committee for the Latino Theatre Commons, a national alliance of Latina/o theatre makers. Jake is pleased to be working on this production with Theatre22 and Ms. Beckman. Most recent productions include Seattle Shakespeare Company’s Measure for Measure and Bridges Stage Company’s Terre Haute with the ACT Central Heating Lab. In Seattle, Jake has also been seen at 14/48, Book-It Repertory Theatre, Annex Theatre, Seattle Solo Performance Festival, Pacific Play Company, and Boom! Theatre Company. 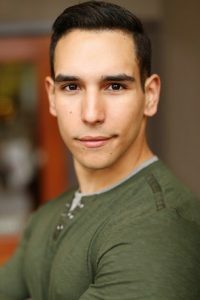 Jake holds a Bachelor’s degree from Cornish College of the Arts and is a Certified Actor-Combatant with the Society of American Fight Directors. Look for his solo show I am Jake Arsenicbased on his life as a professional wrestler, in 2016. Jeff has been living in Seattle for several years, but only recently found his way to the Seattle stage. 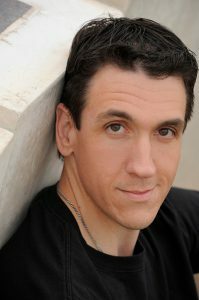 Audiences may have seen him this past summer performing the role of Benedick with Greenstage. Jeff has performed with such companies as Mill Mountain Theatre, Fusion Theatre Company, Key City Public Theatre, and the Oregon Shakespeare Festival. Some of his favorite roles include Sam in Fully Committed, Sir Toby in Twelfth Night, Boyd in The Big Bang, and Frank Butler inAnnie Get Your Gun. In his copious free time, Jeff works as a loan processor and IRA specialist for a local credit union and tries to keep up with his amazing teenage son, Dylan. And yes: he is 49er faithful! BFA Theatre Performance, University of Idaho. Yesenia, pronounced with a ‘j’, is a native of Puerto Rico, and an alumna of the University of Washington’s graduate acting program. 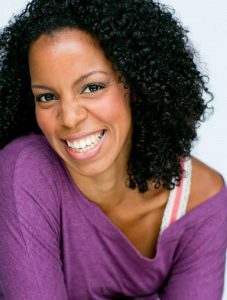 Her most recent credits include Is She Dead Yet?, and Bunnies at Annex Theatre, and Mwindo at Seattle Children’s Theatre. When not performing, she assists in teaching Stage Combat at the University of Washington. However, she mostly enjoys eating, struggling through Insanity workouts, and daydreaming about her future puppies, Batman and Dr. Mango. Yesenia is honored to be working with Theatre22, and such a talented ensemble of artists, and is excited to finally be able to speak in her third most proficient language, Spanglish. ¡Wepa! Making his Theatre22 debut with Water By The Spoonful, G. Val has appeared at West Of Lenin in Master Harold… and the boys (Sam) for which he received the 2013 Gregory Award for Outstanding Performance by an Actor from Theatre Puget Sound as well as in Yussef El Guindi’s The Tyrant in 2014’s SOAPfest. Other theatres: Huntington Theatre’s Ma Rainey’s Black Bottom (Cutler), Syracuse Stage’s Radio Golf (Roosevelt) and Two Trains Running(Memphis), and The Berkeley Repertory Theatre’s Party People (Blue). In Company of OSF for 13 seasons, credits include Macbeth inMacbeth, Falstaff in The Merry Wives of Windsor, Feste in Twelfth Night. 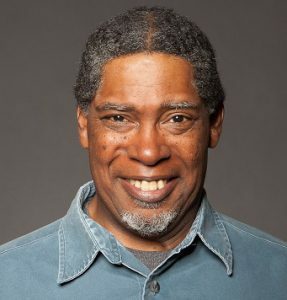 Involved in Seattle Theatre since 1983, he has performed with The Seattle Repertory Theatre, A Contemporary Theatre, Intiman Theatre, The Bathhouse Theatre, The Seattle Group Theatre, The Empty Space Theatre and Pioneer Square Theatre. Mr. Thomas enjoys playing Backgammon. Keiko is a Seattle-based actor, playwright, and illustrator most recently seen in Strawberry Theatre Workshop’s The Memorandum (Helena). Other roles include Seattle Repertory Theatre’sThe Comparables (Iris), Seattle Shakespeare Company’s Othello (Bianca), Island Stage Left’sTwelfth Night (Viola), Annex Theatre’s Chaos Theory (Frannie), and Washington Ensemble Theatre’s Bengal Tiger at the Baghdad Zoo (Iraqi Woman). Next up: Costanze in Amadeus at Seattle Public Theatre. 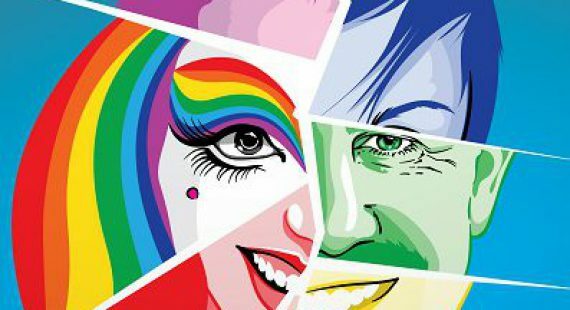 She is a new, proud member of Seattle Repertory Theatre’s Writer’s Group. Her original musical Bunnies was produced by Annex Theatre earlier this year. She is currently co-writing the full-length play Puny Humanswith Bret Fetzer for Annex Theatre’s next season. TV/Film Credits: Grimm, C.O.G. 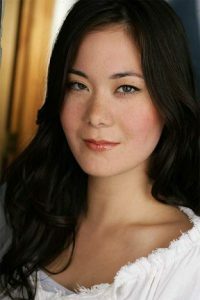 Keiko received her BFA in Theatre from NYU’s Tisch School.